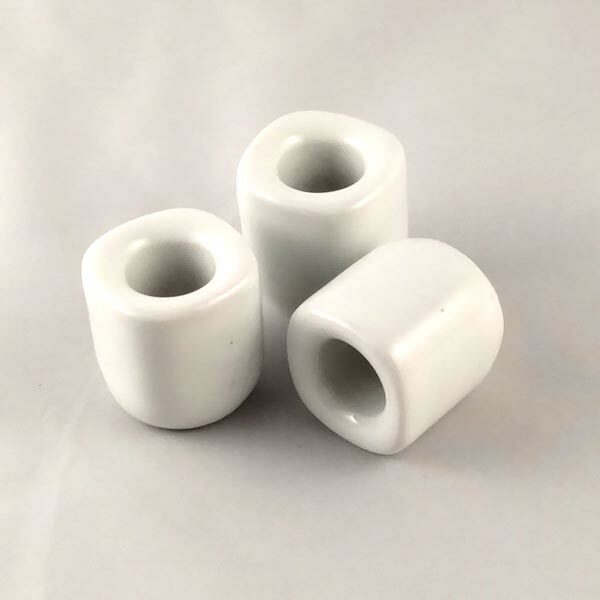 Glazed white porcelain ceramic thimble candle holder. Designed to fit my 1/2" diameter chime/mini taper candles. 1-1/8" tall, 1" wide and 1" deep.